Looking back at the coverage of SIHH 2019, there was a lot of talk about moonphase watches and the color blue having its moment in the spotlight (despite being a steady staple in many brand’s collections for a number of years now). However, the fact that unisex watches are being totally embraced – and kind of becoming the norm – was surprisingly somewhat of a sidebar. Fresh out of the show, it’s easy to label this a fleeting trend; however we think the adoption of unisex watches is likely here to stay. We currently find ourselves at a point in time where small is chic, pink is in vogue, and unisex watches are the obvious answer. The question is though, how did we get here? The short answer is that the luxury watch industry is starting to embrace women. Realizing that female collectors are a growing demographic, and that women are becoming increasingly more likely to purchase luxury watches, high-end manufacturers are creating impressive mechanical timepieces specifically designed with women in mind. Much of the industry is welcoming women into what has historically been a ‘boys club’ with open arms and killer designs – which is evident in this year’s new SIHH releases. Let’s take a look now, shall we? The new Cartier Santos-Dumont comes in two sizes, a smaller option at 27.5mm wide, and a larger version that measures 31.4mm across (Image: Cartier). Over the past several years we’ve talked about vintage watches like they were a cool but smaller, niche trend. However now, some of the world’s most exclusive watchmakers are enthusiastically embracing smaller, vintage-inspired timepieces, adding to the proof that the vintage trend has truly gone mainstream. Not convinced? Just look at the new 31.4mm (38.5mm lug-to-lug) Cartier Santos Dumont watches, the miniaturized 39mm IWC Pilot’s Watch Automatic Spitfire, or one of the watches people couldn’t stop talking about all week – the 38mm Royal Oak Chronograph from Audemars Piguet. All of these big-names are embracing smaller case sizes and it’s never looked better. Not only will these watches sit pretty on the wrist of a woman, but their mid-size cases and clean designs make them perfect unisex watches that can add timeless elegance to any man’s ensemble. 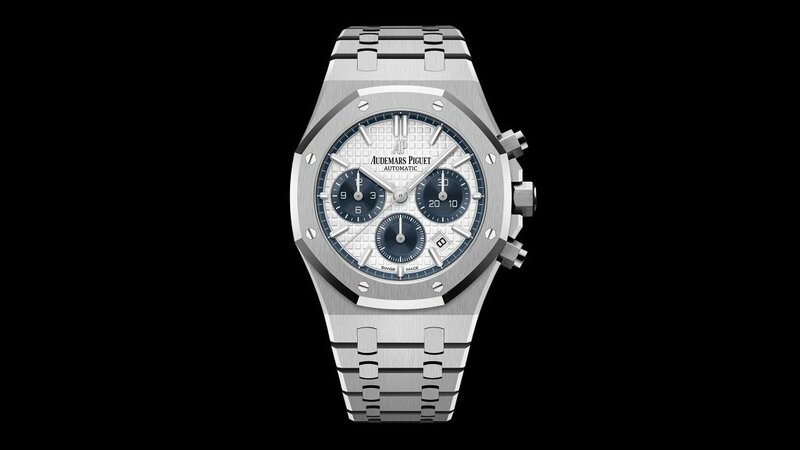 At 38mm in diameter, the new Audemars Piguet Royal Oak Selfwinding Chronograph 38 is perfect for those who find the regular Royal Oak Chronograph too large (Image: Audemars Piguet). Mid-sized watches with universal appeal have also been a fringe trend for the past few years. Modern-design manufacturers have had a lot of success with this – their simple faces and neutral colors being warmly embraced by both sexes. Those who opted to go the vintage route – adopting petite, retro designs – also did well in these respects. But at SIHH 2019, we saw something different – watches that equally embraced both sexes, but didn’t particularly size down. There was the Hermes Arceau 78 with a very trendy grey face and moderate 40mm case. 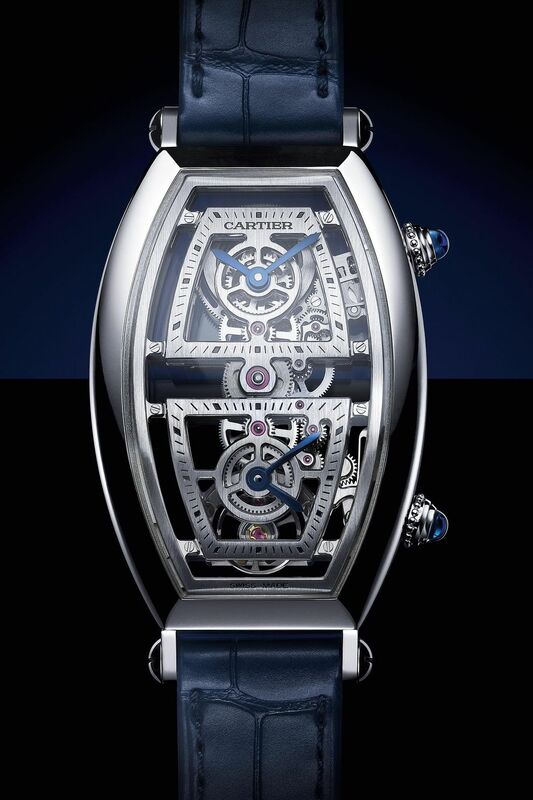 There was also the standout, reimagined Cartier Tonneau collection; we loved the Extra Large Skeleton Dual Time Zone model, which boasts a 52.4mm length and a 29.8mm width. Okay, yes, it is a bit large – but, the design is elegant and inherently unisex, with feminine curves and a masculine skeletonized dial. The Cartier Tonneau XL Dual Time Skeleton is available in either rose gold or platinum, and looks great on both male and female wrists (Image Credit: Cartier). There was also the entire Bonbon collection by Richard Mille, whose colorful line wasn’t quite as small as unisex watches in the past (most models clocking in at 45mm); however the different watches are funky and colorful enough to appeal to both risk-taking male and female fashionistas. Audemars Piguet arguably embraced the unisex trend the most at SIHH 2019, releasing an entirely new collection of watches (for the first time in 74-years, might we add) that totally defy gender labels. At 41mm and incredibly well-proportioned, the watches aren’t particularly small, but the 13 different models can easily be worn and adored by both sexes. All of the watches in the new Audemars Piguet Code 11.59 collection measure 41mm and appeal equally to both men and women (Image: Audemars Piguet). 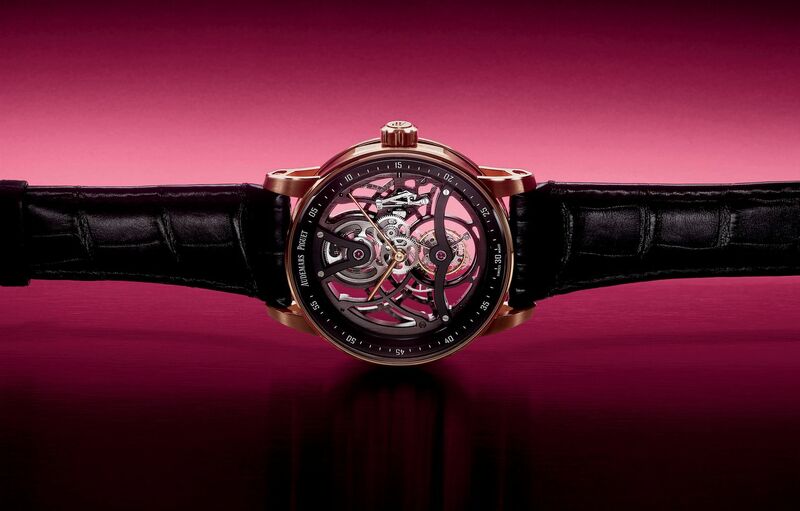 Yes, rose gold has been a hot metal and a highly sought-after color for a few years now; however what’s different (and clearly trendy) is that we’re seeing this pinkish-hue being used on the dials of some of the most haute horlogerie on the market. From the ‘salmon’ dial used in the Montblanc Heritage Pulsograph, to the subtly-pink dial of the limited-edition Royal Oak “Jumbo” Extra-Thin – even the A. Lange & Söhne Datograph Perpetual Tourbillon has been given a rose gold dial – pink is clearly having its moment. For men’s watches, this elegant color has been primarily reserved for dress watches and timepieces with a truly vintage feel. We’re kind of obsessed with the fact that this year, at SIHH 2019, salmon/pink is being embraced in more creative ways; and while it’s definitely a color that’s familiar to female clientele, we think this trend is going to resonate just as well with male consumers too. 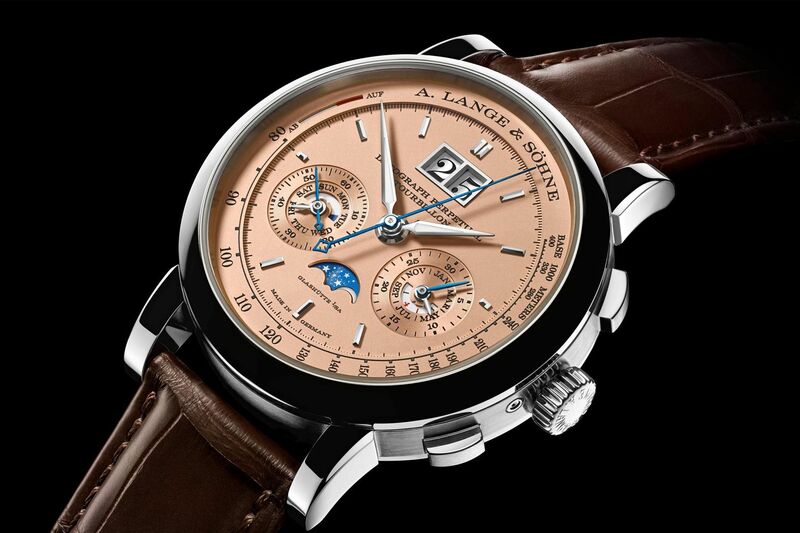 The A. Lange & Söhne Datograph Perpetual Tourbillon is now available with a solid pink gold, “salmon” colored dial (Image: A. Lange & Söhne).